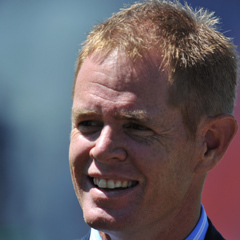 Cape Town - Former Proteas fast bowler Shaun Pollock has given South Africa’s bowlers the slight edge over their English counterparts ahead of the first Test starting at The Oval on Thursday. "I think South Africa will have the slight edge," he told the Guardian.co.uk, backing Dale Steyn, Morné Morkel, Vernon Philander, Jacques Kallis and Imran Tahir ahead of England’s James Anderson, Stuart Broad, Graeme Swann and Tim Bresnan. But Pollock believes his countrymen will stand alone at No 1 after the three-Test series. "It's a little unfair to analyse it because our guys, I know what they're capable of. Philander's been remarkable - his introduction to Test cricket shows he has the serious skills to perform at the top level so that really does complement Steyn, who's been a real success for so many years. "Morkel always takes a little bit longer to get into a series than some of the other bowlers but he brings a different dimension with his pace and bounce. Jacques - we all know what he can do - and it's great to have that depth in the bowling and we've got Tahir who is a wicket taking option and can add a bit of guile to wrap up the tail. So I think they've got all the bases covered and I feel they will have the upper hand. With 15 days of sunshine I would back South Africa to win the Test series 2-1." Pollock did, however, concede that the Proteas’ lack of preparation is a concern, especially for the batsmen. Their two warm-up matches against Somerset and Kent ended in draws after both games were affected by bad weather. "It is a bit of a concern. The test for all the batsmen on a tour of England is the late swinging ball and the ball nipping around off the seam. I don't think it's much of a concern for the bowlers, I think they can prepare wherever. It's just the batsmen and the surface they're going to face."